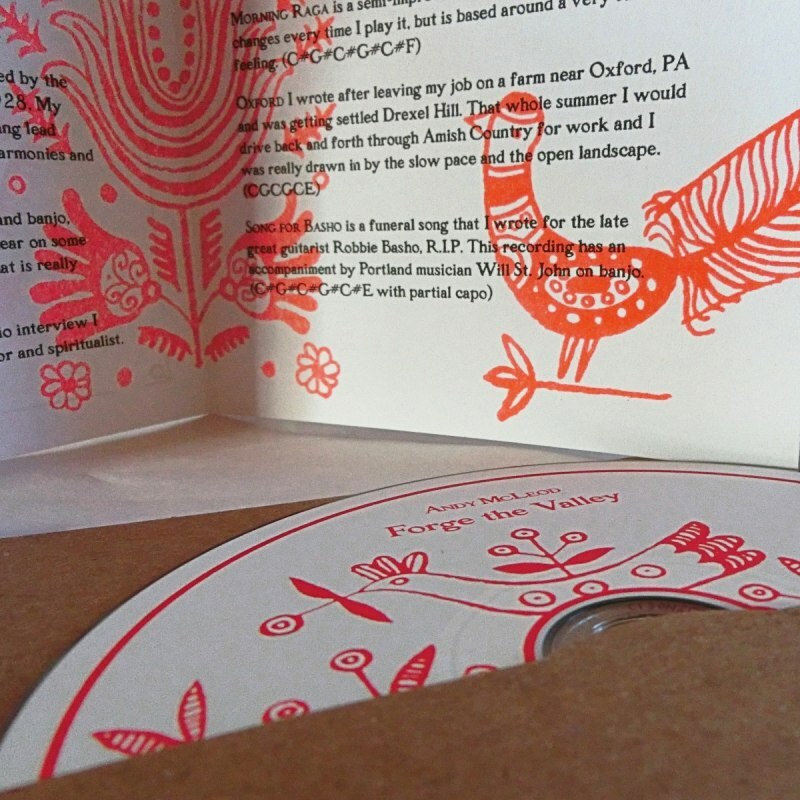 Banjo Drones and American Primitivism inspired by the rolling hills and valleys of Chester County, PA and all the visionary guitar players that came before. 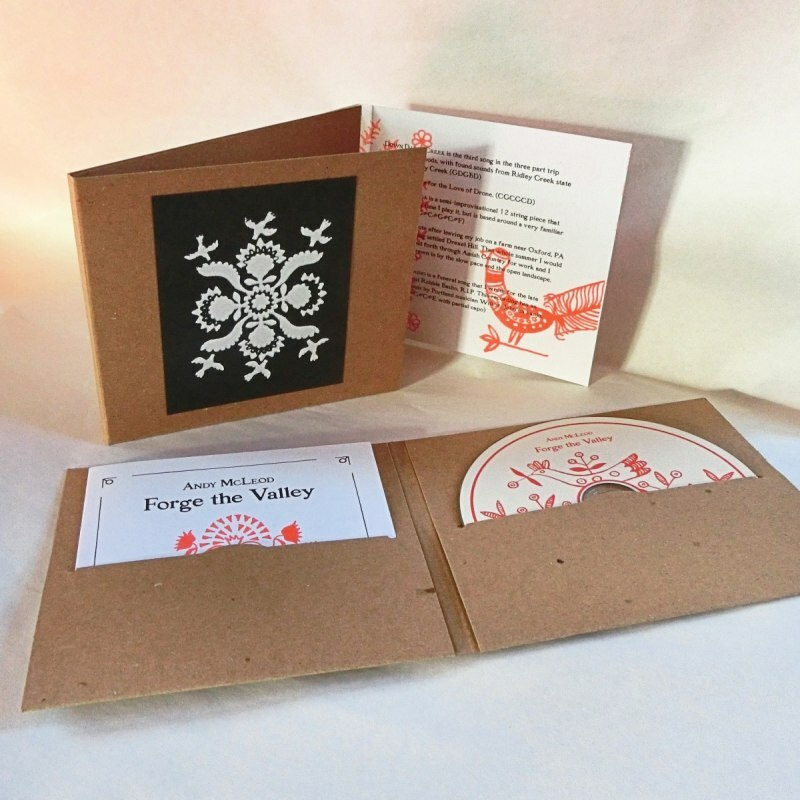 Limited edition of 61 CDr in screen printed cardboard folder and risography inlay with tunings and additional information. 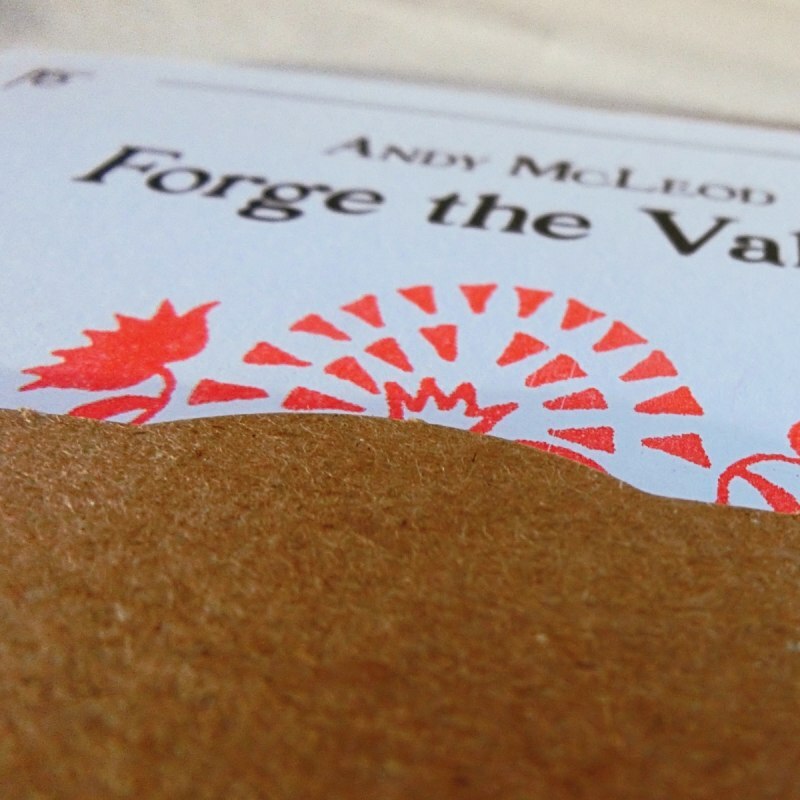 Andy McLeod is a seasonal farm hand, musician and visual artist from Chester County in the Philadelphia Area, PA. 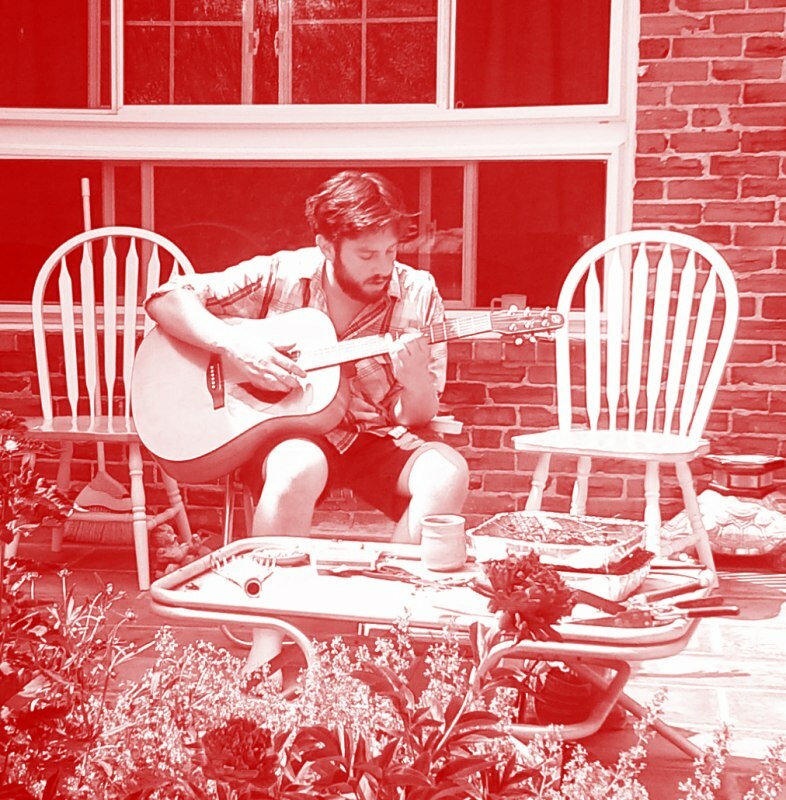 Inspired by the work of Jack Rose and Pelt, Fahey and Delta Blues, he taught himself how to play finger style guitar in open tuning and experimented with mixing it with drones and psychedelic elements and in the process he got into clawhammer banjo so that this became a big part in his current work as well. 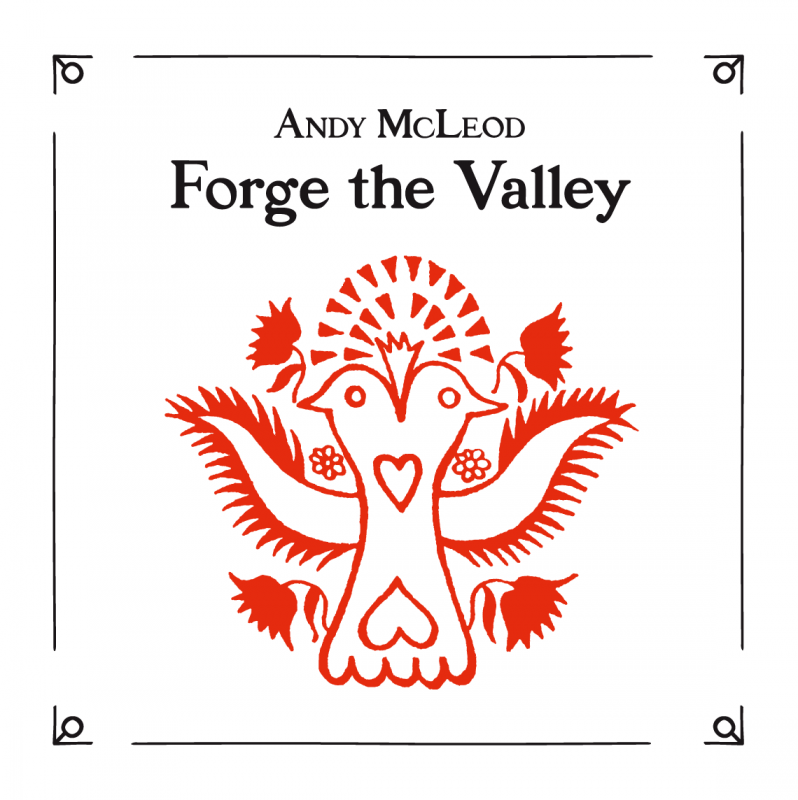 …“Forge The Valley” a mainly instrumental and acoustic album from Andy McLeod a man who knows his way around a fretboard, the playing vivacious, beautiful and, at times, breathtaking. Inspired by the rural landscape of Chester County the music is filled with emotion wether it be the happy groove of “The Hop” or the old time sound of “Wildwood Flower”, originally by The carter Family and sung beautifully by Lindsay Steim. Complete with the sounds of the river, “Delaware County” is a great guitar/banjo duet that will make you smile, whilst “Luminous” has a more experimental edge, mixing effected guitar with vocal samples to create a ghostly track that changes the mood completely. Throughout the album, quality is maintained each track perfectly formed with “Morning Raga” summing up the Primitive American spirit that is at the heart of the collection, an improvised piece that changes each time the musician performs it. 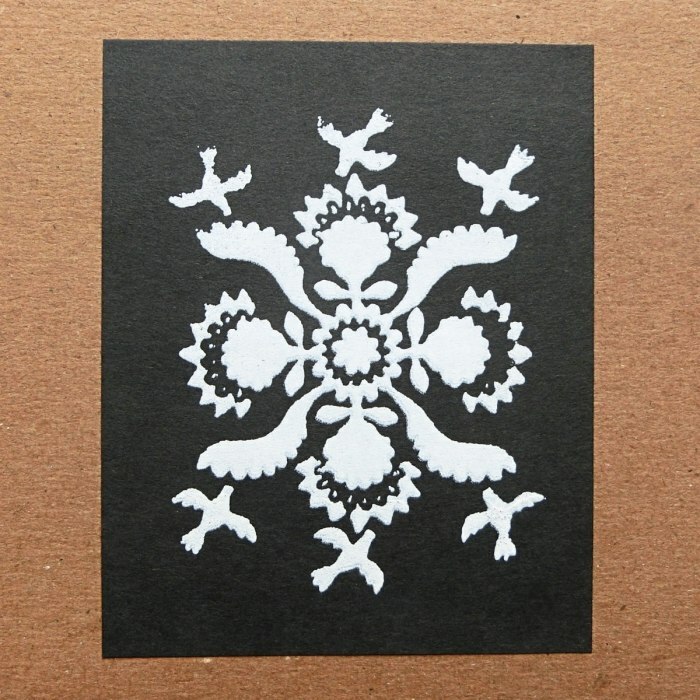 Quite mesmerising, I feel this is an album that is going to stay with me for a long long time.